Disclosure: This is a partnered post with ZerorezSoCal. All opinions are my own. When Kenzie was born and as she grew into toddler-hood, I was neurotic about having everything being sterilized and clean. Fast forward and I am a wee bit less cleanly with Mason as he has become a toddler. I blame it on him being a roaming eater and quick to pick up off the ground when something drops. When we are out and about, food that drops to the floor is thrown out and cups/pacis that fall are whisked away to be washed. However, that rule is broken in our home. I don't literally count the 5-seconds but when Mason drops something while he is eating while playing, he picks it right up and shoves into his mouth before I can go grab it. I have given up and since he hasn't gotten sick (yet), I don't regulate it as I probably should since the statistics show that the 5-second rule doesn't quite keep all the germs/bacteria away. A clean-looking floor isn't necessarily clean. I thought I kept a clean floor until ZerorezSoCal came to "clean". There are random crumbs that I may miss but I usually vacuum at least every other day and the housecleaner comes every 2 weeks. Gil the technician informed me that what I had thought was dirty tile is actually the natural coloring of the stone. The "dirty" part is actually in the grout. He actually showed me the difference in grout coloring from high traffic areas and the less traveled areas. I was surprised. 2 areas cleaned by ZerorezSoCal for only $99! I think the notion that picking up food in 5 seconds being ok to eat is pretty clouded as bacteria and germs can attach to your food as soon as it hits the floor. It all depends upon the conditions and food type. I admit that my kiddos have dropped fruit (especially large apples) and have picked it right up and taken a bite. I try to monitor and grab to give it a rinse before handing back but since Mason is pretty quick now, sometimes I don't get to him in time before he takes a delicious bite of the apple or shoves a pieces of tangerine into his mouth. 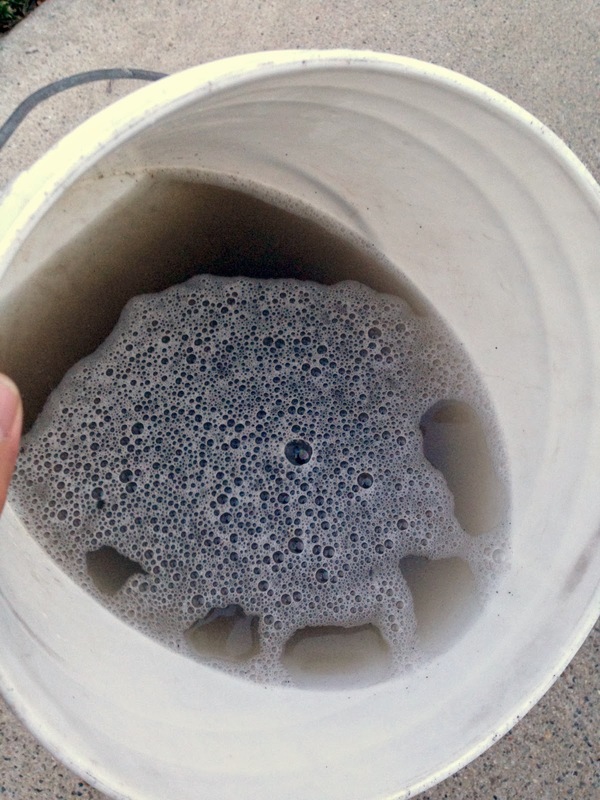 Check out the dirty water that came from my ZerorezSoCal cleaning. We don't wear shoes in the house and the house cleaner came just 2 days before my appointment and look at all the grime! Some bacteria are not harmful. But others can give you awful stuff, like diarrhea. You can't see the bacteria and, even if you could, it doesn't take much to make you sick. So what are you to do with that delicious piece of whatever that just slipped from your grip? The safest choice is to throw it out. When we are out and Mason goes for something on the floor, I shout at him to distract him. The problem is that Hubs gets upset and tells me to calm down most likely because I look like the lunatic mom at the restaurant. My usual tactic is to extend my leg and kick it away to give Hubs time to pick it up before Mason lunges for it. It's worked thus far and I hope my kids never experience the ill effects of bacteria from the floor. Yes I am selfish in that seeing my kids sick and miserable is no fun. Hubs is of the mind that the kids need to be exposed to germs to become immune and healthier. I think that I should protect the kids from goodness knows what as much as I can in my control. I can control how clean my home is by having regular, thorough appointments with ZerorezSoCal. 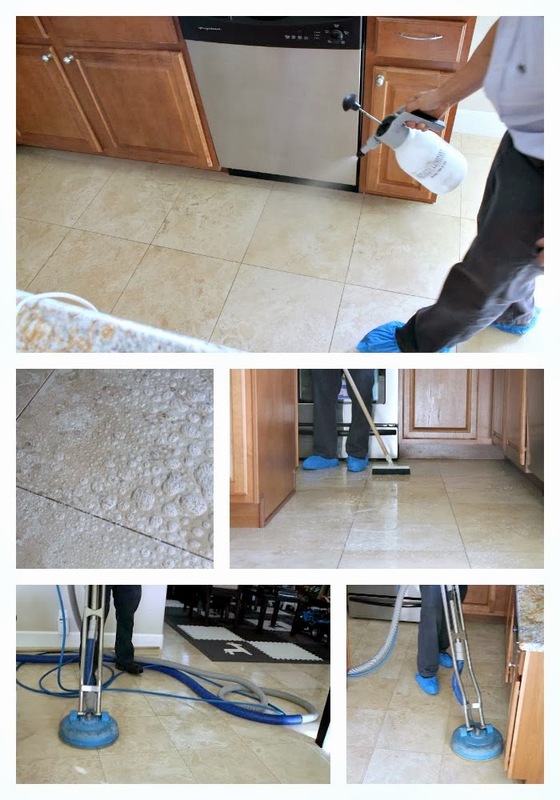 ZerorezSoCal is a new technology cleaning company that cleans carpets, upholstery, tile and grout, and much more using a patented, high pH alkaline water. The heated cleaning solution is simply softened water that is modified to increase the alkalinity. This is perfect for anyone who wants true green cleaning without toxic chemicals which is a must when you have little ones running around. The cleaning solution is so pure that I drank it with Gil the technician! They have a special promo right now that you cannot miss out on. 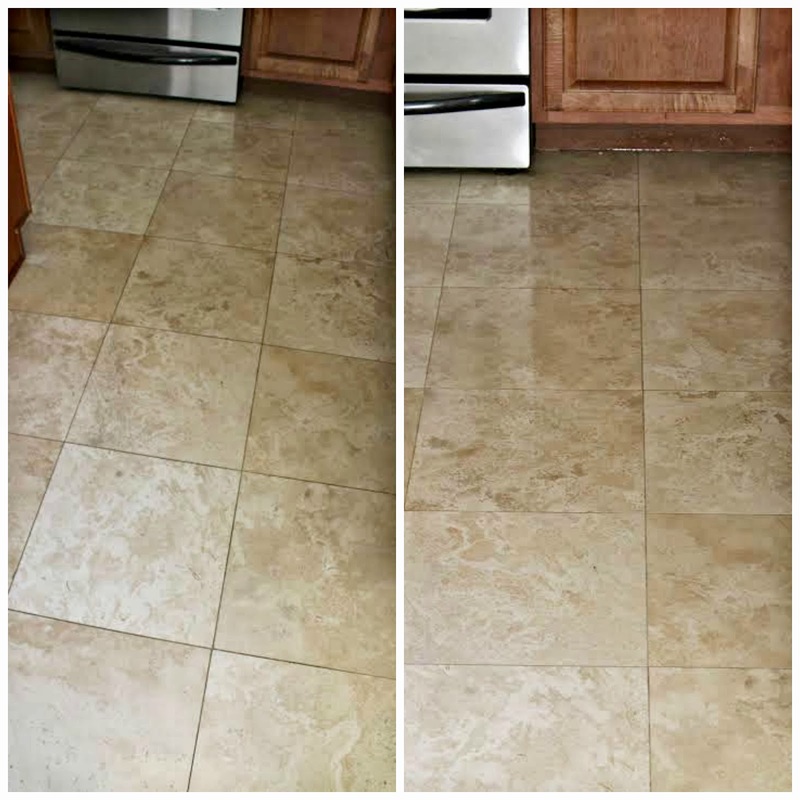 You can get 2 areas (up to 200 sq feet each) of carpet, hardwood, tile and grout and natural stone cleaned with ZerorezSoCal's green "no-residue" process. Its crazy to see how much dirt they got off your floor even after the lady and cleaned. I think ZerorezSoCal looks like a great company that does a good job on getting the spots that we can sometimes miss. We go by the 5 second rule even though we shouldn't. Thanks for the reminder that just because it looks clean doesn't mean it is.